CV fraud is a significant and widespread issue in the UK and worldwide: a survey by CareerBuilder has revealed that 56% of hiring managers have caught job candidates lying on their resumes in order to boost their chances of getting access to opportunities. Why so many? Because it is surprisingly easy to get away with it! Today, it is extremely lengthy and difficult for an employer to conduct a background check on candidates’ qualifications, which is and has been a typically manual process. For this reason, about 1 in 4 firms do not conduct checks at all according to CareerBuilder, and most delay them until the very end of the hiring process. The consequences can be dire: in the US, more fake PhDs are issued every year than real ones, and that can have a real impact on the reputation of authentic universities. Employers who do not conduct the necessary due diligence can face fines or, at the very least, waste time and money in reduced employee productivity or interviewing bogus candidates. Finally, honest candidates cannot flaunt their real worth, as it can be diluted by the masses of fake graduates that are competing for the very same jobs. But a fundamental first step in the UK’s fight against this kind of fraud has been made today. The UCL Centre for Blockchain Technologies (UCL CBT) has concluded a pilot scheme whereby MSc graduates in Financial Risk Management can use our platform for instant verification of their academic qualifications. All graduates from this course in 2016 and 2017 were able to register their degree details on our website. 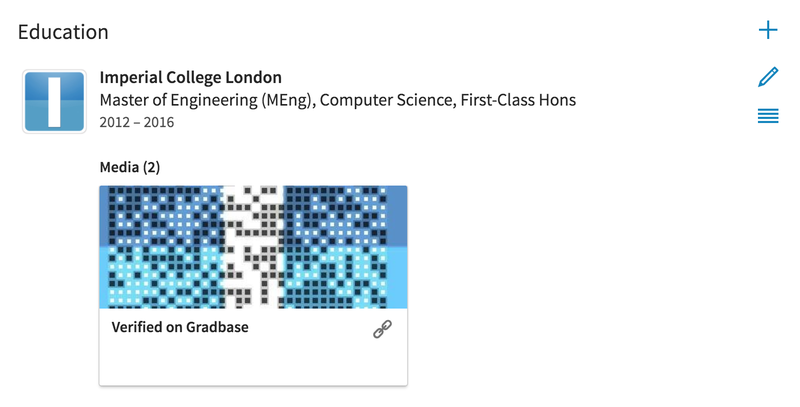 After a quick check of the validity of this data, UCL CBT were able to generate a spreadsheet which they uploaded with ease again on our platform. By doing this, a transaction validating the authenticity of these degrees was issued on the Bitcoin Blockchain, and every single pilot participant was issued a stylish QR code to place on their CV. 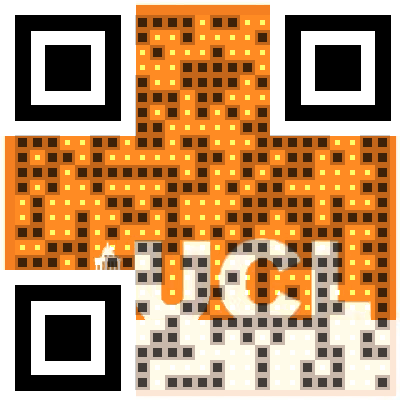 Armed with such a QR code, every graduate can instantly prove the authenticity of their MSc at any time, anywhere in the world, to anyone who is armed with nothing more than a smartphone with a QR scanner. Blockchain technology enables this magic to happen: given its distributed and replicable nature, a Blockchain is able to guarantee 24/7 availability and total immutability of the data, meaning that the authentic degree data can never be tampered with and is always verifiable. Suddenly, we are able to transition from the current slow and expensive manual check, typically carried out by university registries and federated organisations to an instant, cryptographically proven and automatic check performed by a network of thousands of computers which hold copies of the ledger. Employers see the pain points of slow manual checking removed, and can push degree checks earlier in the hiring process, issuing institutions are able to save countless hours of administrative work replying to verification requests and, finally, genuine candidates can have the advantage they deserve in favour of fraudsters, and become a lot more competitive in the job market. These are the words of Paolo Tasca, Executive Director of UCL CBT. With cryptocurrencies facing more and more regulatory action as they enjoy ever increasing adoption, attention has inevitably turned also to alternative uses of Blockchain tech which vary from digital identity to casual dating. Given the groundbreaking progress in innovation in these fields and the technology’s clear potential, it would not be surprising if more and more individuals and organisations worked with Blockchain in the future. CV fraud is a clear threat to every stakeholder involved. This pilot has demonstrated that a frictionless, user-friendly and secure solution with global impact exists and is out there today. With every verifiable claim that can be proven via Blockchain, that threat diminishes a little. We call on our readers to embrace the technology in their own organisations, and help make the job market a fairer place for everyone’s benefit. We can help: contact us and let’s make something happen together! Alberto de Capitani, co-founder of Gradbase.